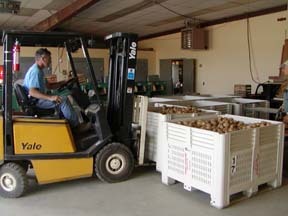 Steve McKay, manager at Cornell's Homer C. Thompson Research Farm in Freeville, takes up a bin of potatoes for transport to the Food Bank of the Southern Tier. 207,426 – Pounds of food from the Homer C. Thompson Research Farm in Freeville donated in 2009 to food relief efforts such as Food Bank of the Southern Tier, Friendship Foods Donation Network of Ithaca, and Loaves and Fishes in Cortland. 969,101 – Total pounds donated since 2004, including potatoes, sweet corn, snap beans, cabbage, peppers, winter squash and pumpkins. 336 and 202 – Bushels of apples, gallons of cider donated by Cornell Orchards in 2009. 60 – Poinsettias donated by Hortus Forum (Cornell’s undergrad horticulture club) to bring holiday cheer to local nursing homes. Wishing everyone a happy holiday. We’ll be back in January. The NY Beginning Farmer Project has a dozen videos for new and beginning farmers available at CornellCast. In this ‘Voices of Experience’ series, you’ll find the kind of dirt-under-the-fingernails advice that can only come from someone who’s been there. To see all dozen videos, visit CornellCast and enter ‘new farmer’ in the search box. BF 101: What Do I Need to Do to Start a Farm Business? Visit the project’s course page for more information. Registration will be available in January. Margery Daughtrey, senior extension associate in the Department of Plant Pathology and Plant-Microbe Biology, is co-author of the new book, Diseases of Herbaceous Perennials. The 281-page hardcover book, filled with illustrations and informational text, can help home and professional gardeners to recognize and manage plant diseases. Choice magazine has selected the book as one of its 2009 Outstanding Academic Titles. Daughtrey co-authored the book with Mark Gleason and Daren Mueller of Iowa State University, Ann Chase of Chase Horticultural Research, and Gary Moorman of Pennsylvania State University. From Sean McGovern, USDA-SARE outreach coordinator. Edited by Chuck Mohler, senior research associate, Department of Crop and Soil Sciences and Sue Ellen Johnson, research leader, New England Small Farm Institute, contributors include Anusuya Rangarajan, Department of Horticulture and other Cornellians, growers, and non-profit and government leaders. SARE Outreach announces a new planning resource for farmers seeking sound, science-based guidelines for managing crop rotations in organic farming. Crop Rotation on Organic Farms: A Planning Manual helps farmers use rotations to build better soil; control pests, weeds and diseases; and develop profitable farms. Consulting with expert organic farmers, the authors share rotation strategies that can be applied under various field conditions and with a wide range of crops. “The purpose of this book is to help growers and farm advisors use crop rotations to build better soil, control pests, and develop profitable farms that support satisfied families,” says editor Charles Mohler, a senior research associate at Cornell University. Download Crop Rotation on Organic Farms for free at www.sare.org/publications/croprotation.htm. To order print copies ($24.00 plus $5.95 s/h) visit www.sare.org/WebStore, call 301/374-9696 or send check or money order to SARE Outreach, PO Box 753, Waldorf, Maryland 20604-0753. (Please specify title requested when ordering by mail.) Discounts are available on orders of 10 or more. Allow 3-4 weeks for delivery. 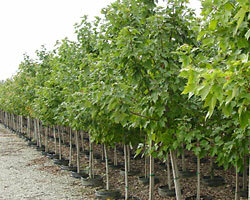 Call 301/374-9696 for more information on bulk, rush or international shipments. Questions? Contact Mason Newark at mjn68@cornell.edu. 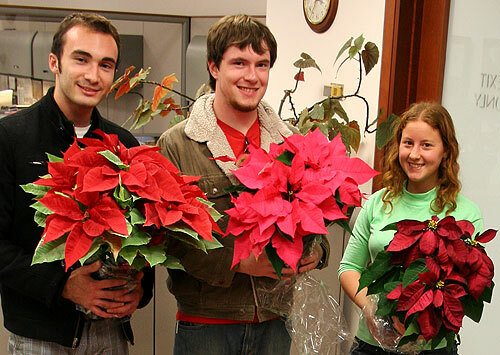 Members of Hortus Forum undergrad horticulture club deliver poinsettias to the Dean's office in Roberts Hall. Masks derived from seasonal mythology. It’s a last-class-of-the-semester tradition: Students in Marcia Eames-Sheavly’s Art of Horticulture course gather to share their final projects and some insight on their process with their classmates. 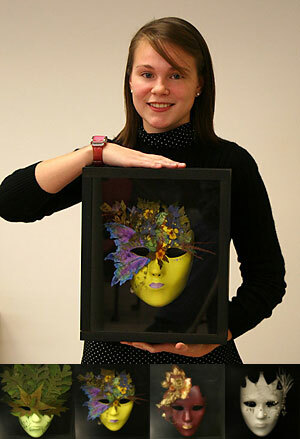 This semester’s projects included a series of masks derived from seasonal mythology (right), painting, photography, mosaics, fabric art, botanical illustration, sculpture, jewelry, and more. Earlier this semester, the class left a lasting impression on campus, collaborating on construction of a sod sofa at Cornell Plantations. The Bauerle Lab in Cornell University’s Department of Horticulture is part of a 5-year, $5-million project investigating the use of wireless sensor networks for precision irrigation and nutrient management in nursery, greenhouse and green roof systems. The goal of the project is to develop the next generation of tools to help ornamental crop growers precisely monitor how much water plants use, closely control water applications and use water and fertilizer more efficiently. “We expect these practices will reduce environmental impacts, such as nutrient runoff and leaching, as well as use less water,” says Dr. Taryn Bauerle, assistant professor in the Department of Horticulture. 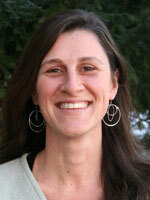 Bauerle’s past research has focused on root physiology and how plants respond to water stress. In plantings like these two-year-old nursery trees, wireless soil moisture sensors will feed information to computers that automatically determine how much water and fertilizer to deliver to the plants via the irrigation system. The whole idea is to have wireless soil moisture sensors feed information to computers that automatically determine how much water and fertilizer to deliver to the plants via the irrigation system, customized for individual species, she adds. Bauerle’s lab will focus on the “micro-scale” portion of the project. This includes characterizing root growth in time and space in several important tree species, and how root zone moisture management affects shoot growth and physiology. “This work will allow us to apply what we learn at many different scales, from individual plants to nutrient requirements for whole production sites,” says Bauerle. The project is funded by the U.S. Department of Agriculture’s National Institute of Food and Agriculture Specialty Crop Research Initiative. Combined with an additional $5 million in matching funds, the grant brings together a multidisciplinary group of engineers, plant scientists, economists and extension specialists including collaborators at the University of Maryland, Carnegie Mellon University, Colorado State University, the University of Georgia, Decagon Devices, Inc., Pullman, Wash., and Antir Software, Jarrettsville, Md. Collaborations and testing with commercial growers and private industry in addition to social- and economic-impact analysis will help assure that the systems the project team develops are practical and profitable. For more information on the project, visit the University of Maryland’s SensorNet website or the USDA-CRIS nontechnical summary.